The wing needs to be reglued on all joints and then sanded for covering. 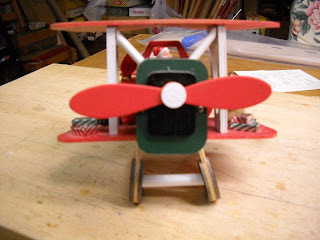 I started building Christmas morning and finished this afternoon. Time taken off for Christmas doings and dinner, also watching movies. 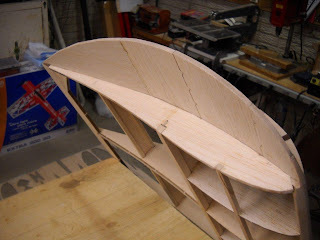 The construction was amazing due to precision laser cut balsa parts. 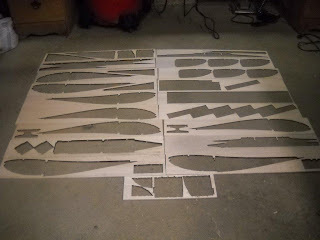 It took 19 sheets of various thickness balsa sheets for the wing. 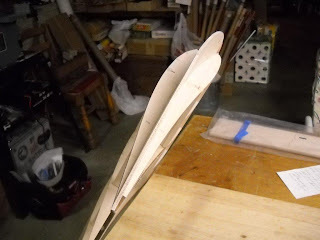 Notice the tip is curved. 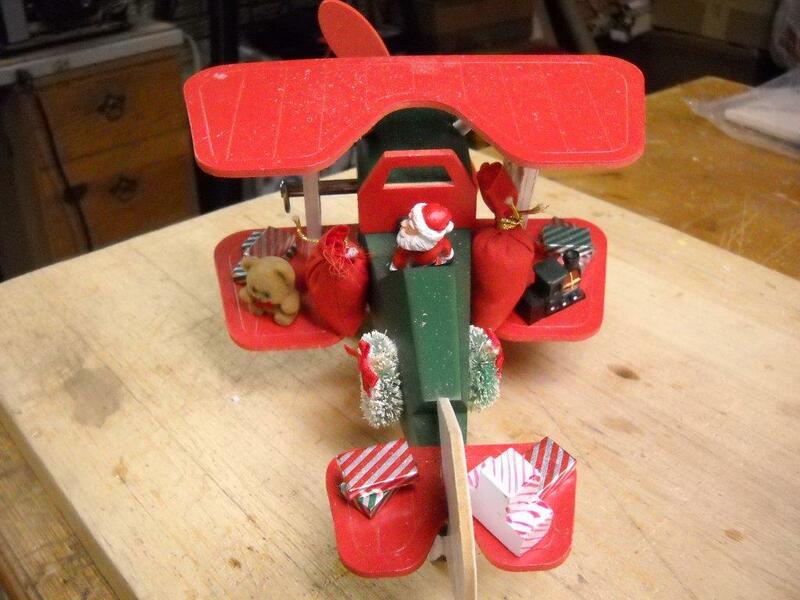 When covered this may give a little tip lift which would be helpful when landing. May prevent tip stalling. 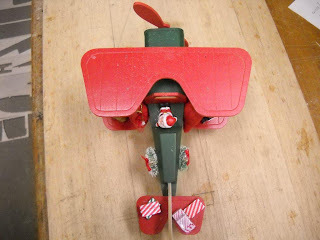 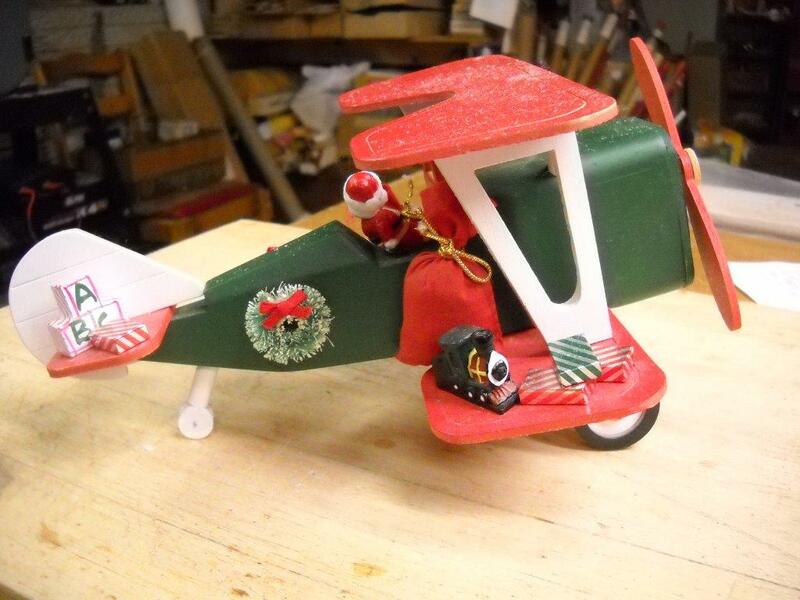 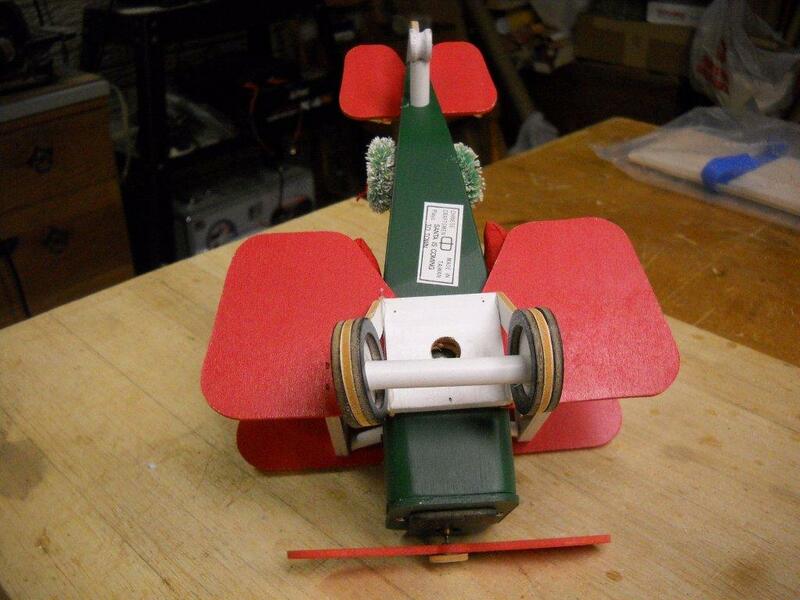 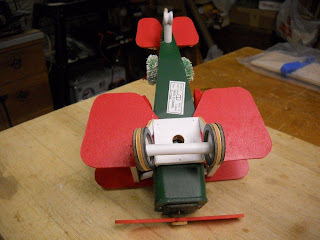 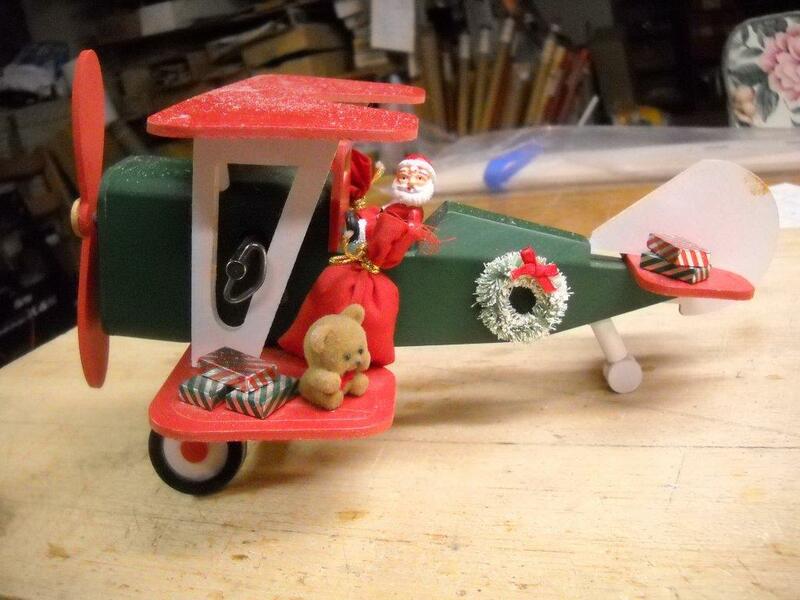 I just had to send the photos of a very old Christmas ornament of the Santa Biplane. The low aspect ratio wing jumped right out at me as I passed by it decorating the Christmas Tree. The aspect ratio for FREDe2X is 2.75. Who knows maybe Stevens AeroModel could design a FREDe2X Biplane???? 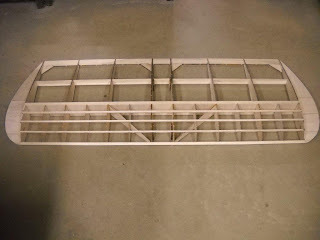 This model has been a joy (or fun) to build as of now. 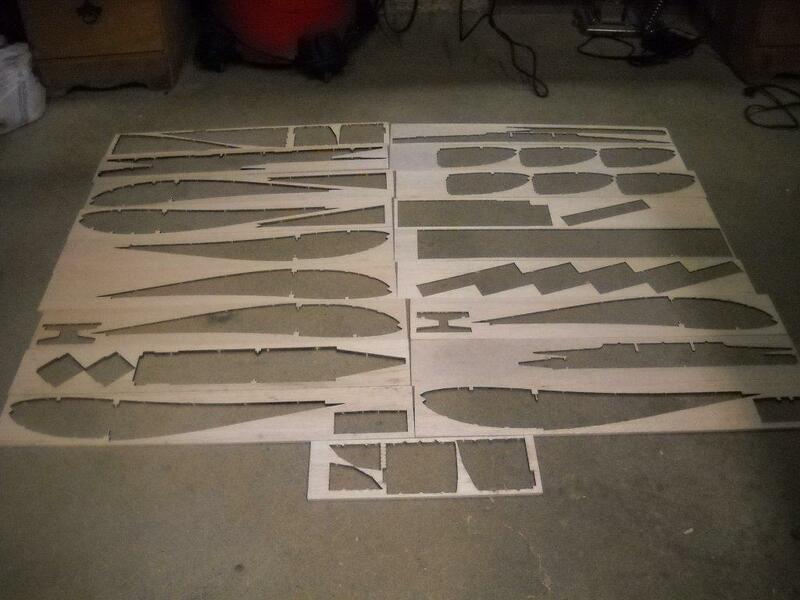 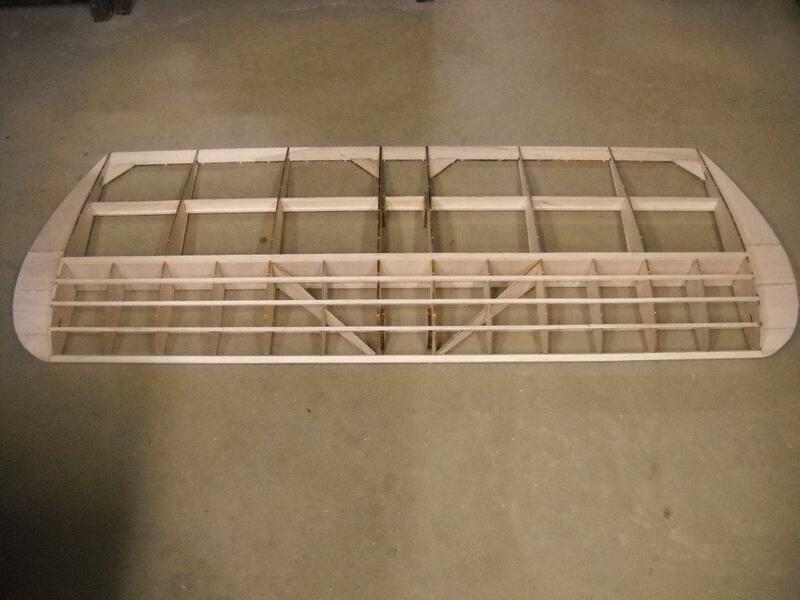 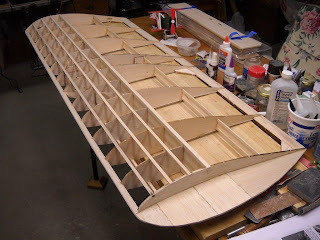 Will start building the fuselage tomorrow.